Posted July 9th, 2015 by Brandy Aguilar & filed under Articles. They are the first ones in during a fire. They are the first ones on the scene of an accident. I’m talking about the Arizona firefighters and emergency paramedics who put their lives on the line every day to help families. They make sacrifices to save those in need. 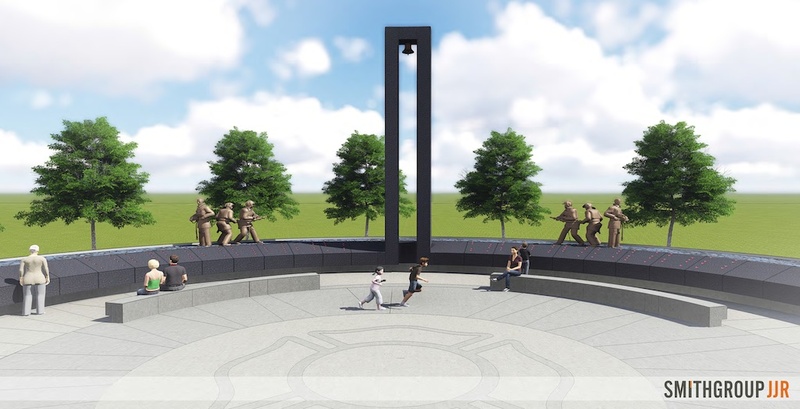 The men and women who have died in the line of duty are being honored through a new state memorial being built on the eastern edge of Wesley Bolin Plaza near the state Capitol. The Arizona Fallen Firefighter Memorial will be home to a wall engraved with the names of the fallen heroes, a bell tower and 10 life-size bronze statues. Those statues will represent professional firefighters, wildland firefighters and emergency paramedics. Since 1902 at least 119 heroes have died. One of those heroes is Phoenix firefighter Bret Tarver. Tarver lost his life while battling a fire at a supermarket in west Phoenix in March 2001. He left behind his wife, Robin, and three daughters, Rachel, Sarah and Katie. Rachel was only 10 years old when her dad died. “We grew up in that environment and felt very connected to the [Phoenix] Fire Department and my dad loved it,” Rachel said. “I don’t think I remember my dad ever saying anything other than he was really excited to go back to work. “He just loved the fire department,” Rachel continued. 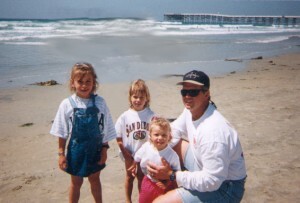 Rachel also remembers how much time she and her sisters got to spend with their father growing up. Rachel, who is now 24, lives in Juneau, Alaska. Her family moved to the area a few years after her dad died. While she did visit immediate family still living in Arizona, it wasn’t until she came back in 2010 to go to college at Northern Arizona University that she began to deal with the loss of her dad as an adult. Rachel was given a tuition waiver scholarship through the Arizona Firefighters & Emergency Paramedics Memorial Board — a commission that approves tuition waivers for children or spouses of firefighters and paramedics killed in the line of duty. “The ability to go back to Arizona, of all places, and revisit the fire department and some of those feelings I hadn’t really felt in a couple of years, I think that’s what got me to go to school [here],” Rachel said. Rachel stayed for two years before transferring to the University of Alaska in Fairbanks. She graduated with a degree in geology and geospatial sciences in May 2014. But the tuition waiver did more than just help her go to college. 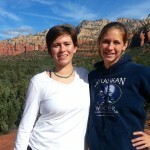 “Without the tuition waiver, I wouldn’t have chosen to go back to Arizona,” Rachel said. “I would probably have preferred to keep my distance because that’s what we did and it was really good for us at the time. “But because of the tuition waiver and the support I had from my family down there, the [Phoenix] Fire Department and my immediate family, [being able to revisit] some of those places made it very healing,” Rachel continued. It also gave her a chance to see the people who lent a helping hand after her father died. 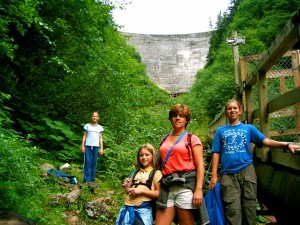 Rachel’s sisters have also been able to utilize the tuition waiver. Sarah just graduated from NAU in May. As the construction phase of the memorial moves along, Rachel hopes to bring her husband to see it when it’s completed. She got married last August. The memorial is a place that is not meant to mourn but remember the heroes who have died in the line of duty and those who will continue to be the first ones in. The memorial will be open to the public sometime in October. Funds are still being raised for the project. If interested in donating text MEMORIAL to 20222 or visit www.azfirefightersmemorial.com. Contact Brandy at <http://www.privatedaddy.com?q=TkVzMktvUgZQEhQuZW1UaCRsAFQoW2VmPWFGRTA-3D_19> if interested in republishing.